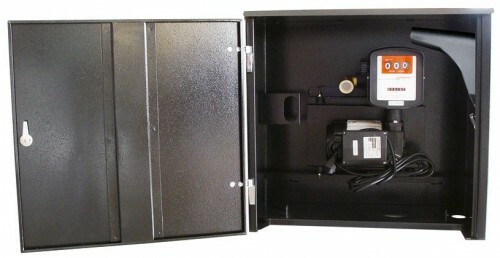 A range of fuel transfer cabinet kits with integrated fuel pumps suitable for farms, small vehicle fleets and any application where an enclosed, lockable pump kit is required. 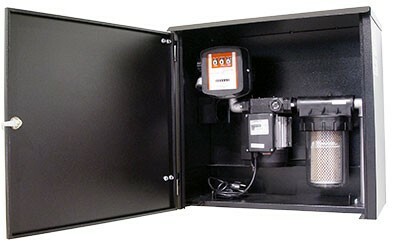 These kits include a flow meter to record usage and can include options with a filter and nozzle hanger with micro switch. Other models are available for different size pumps as per your requirements.